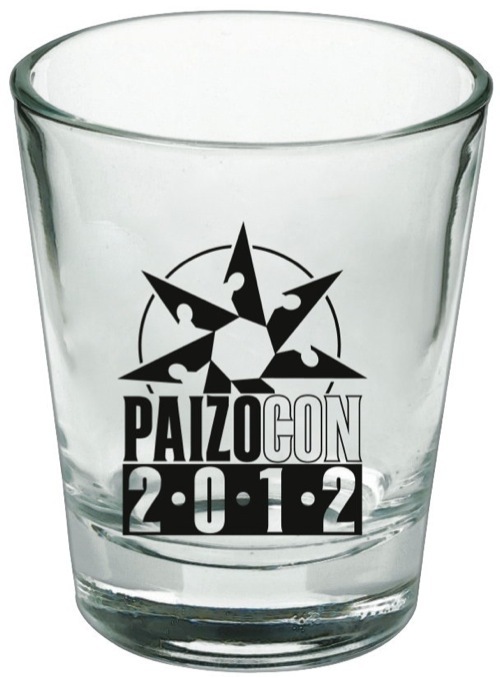 Made exclusively for PaizoCon 2012, this 1.5-oz. 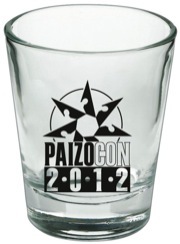 limited-edition shot glass sports sports the Sihedron Rune of ancient Thassilon! It is dishwasher safe and made to last.